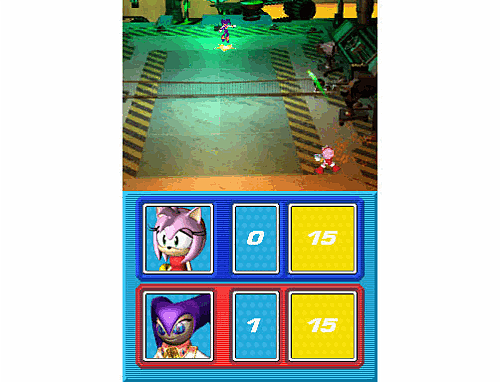 SEGA Superstars Tennis includes several of the most memorable SEGA characters including Sonic The Hedgehog, AiAi from Super Monkey Ball fame, Ulala of Space Channel 5 and Amigo from Samba De Amigo, each of whom have their own unique attributes, and superstar tennis skills. 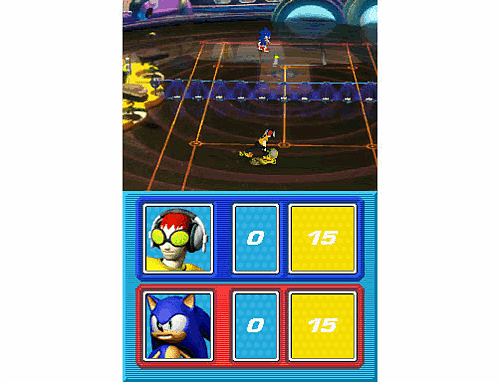 The game’s arcade style matches are played out on courts based on environments from Sega games of the past such as the lush tropics of Sonic’s Green Hill Zone or the street fair fiesta of Amigo’s Carnival Park to name a few. 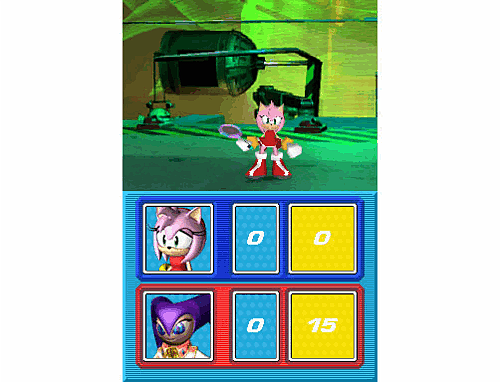 With hilarious cameos and comical guest umpires from SEGA’s rich gaming history, this fun-filled tennis party is guaranteed to be a smashing good time for the whole family! 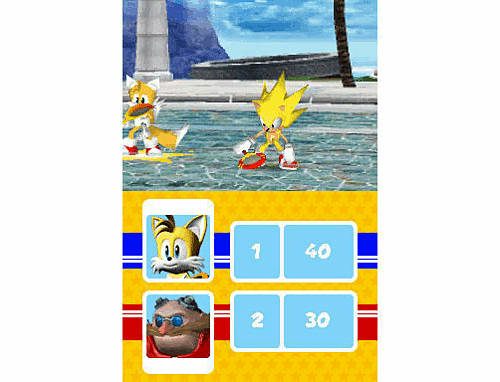 Zany SEGA Characters with Superstar Abilities – Each of the 16 characters has their own superstar alter-ego which gives them the winning edge on the court. 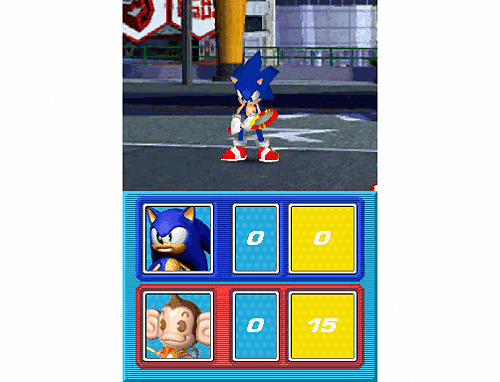 Ten Fantastical Themed Courts – Guest umpires will supervise the action on a wide variety of colorful courts from Sonic’s lush Green Hill Zone to Ulala’s galactic Space Channel 5 world, to name a few. Four Action-Packed Tournaments – As players slice their way through the competitive tournaments they will unlock loads of bonus content. Easy Addictive Fun! 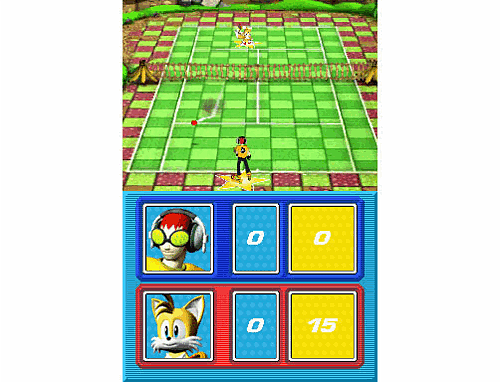 – Developed by SUMO Digital Ltd. - makers of the acclaimed Virtua Tennis 3 - intuitive controls enable gamers to jump right in and serve it up SEGA style!